Mankind’s ultimate questions are answered. Are we worthy? Are we ready? the lives of every being on earth. 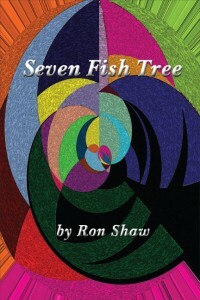 In Seven Fish Tree, nothing will ever be the same for either man. but possibly to their deaths. Apocalyptic? ultimate truths? Time may tell. SEVEN FISH TREE was completed within less than 37 hours after waking from the dream or NDE. The majority of the characters were shown or presented to me within the experience. the clear, fall sky as if lightly coated with thin ice. mid fall and the coming winter. A very strange afternoon would soon morph into life-changing. glassy appearance of a chipped, piece of coal.